Like the fog that sometimes lingers after a long night, so sometimes seems the delay of the bright sunshine of a dream realized. To remain steadfast in the pursuit of seeing it come to fruition and yet to retain one's grace and strength of character is truly the work of clear and untainted intention. Such is definitely the example of Master Esthetician, Mary Ronnow, owner and founder of The Skin Institute Internationalé. Starting a career in the esthetics industry when she was a single mom of four young children she was excited to learn everything she could and in the years following she worked in every single avenue of the spa industry you can think of. She saw the need for highly skilled individuals in her industry and was inspired to start her own professional esthetics school providing the best quality education. In 2002 she opened The Skin Institute in St. George, Utah. She provides the best. Not satisfied with simply teaching her students the modalities of the spa services, she approaches her education with whole person training. Receiving the best quality esthetics education as well as confidence and business etiquette classes, her students graduate certified and fully equipped to pursue a full and lucrative career in the spa industry. With the growing success and reputation of her school in Utah, Mary had a vision to take her education further. After much research and planning she moved to Hawaii and with her daughter, Lieren, opened The Skin Institute Internationale in Honolulu. Their beautiful and relaxing third floor space on Queen Street has a lovely energy that is palpable and is the perfect place to learn the art of skin care and pampering services. She attributes much of her success to surrounding herself with other men and women who supported her. She takes great pride in her children and said some of her greatest life lessons were taught by them. With her three daughters all being Master Estheticians as well, she finds it incredibly rewarding to work along side them in the industry. The gentle grace and buoyant strength of these women is indeed a beautiful display of powerful feminine influence bringing superior service in the industry. 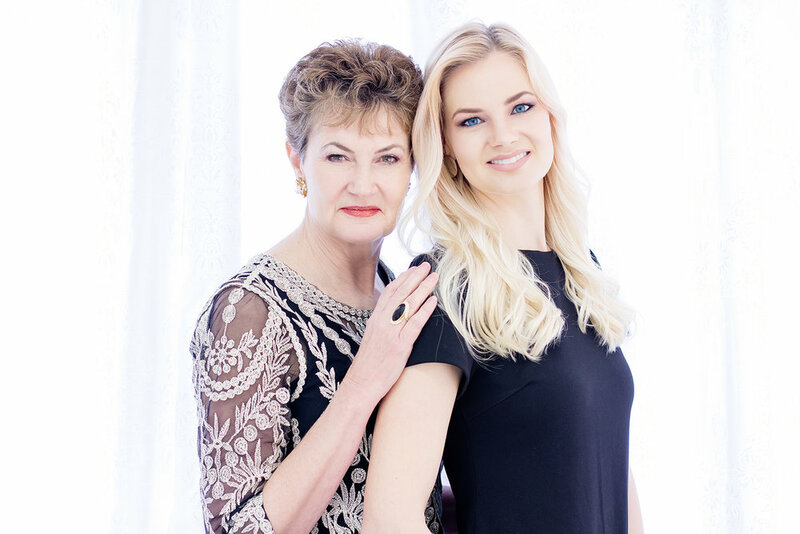 Mary and her daughter Lieren have an unmistakable presence and their voice, influence, and education will certainly motivate and empower many for years to come.